I think I have mentioned before that I purchased my first ironstone creamer at a flea market in Spokane while on vacation last fall. I had read on other blogs about how beautiful it is in its simplicity and I am smitten. I have kept my eye on ebay and etsy and have purchased when the price is right. 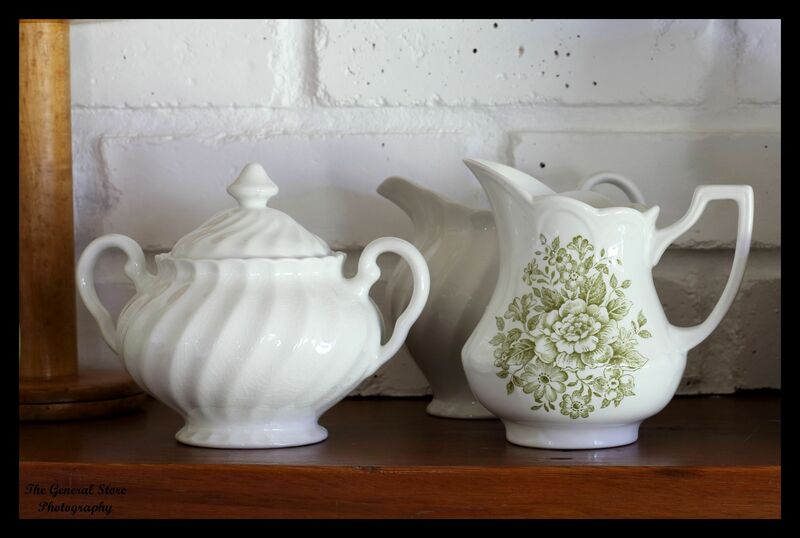 Most of mine are manufactured by J&G Meakin but I do have one from James Kent and one from Royal Crown Derby. And I haven’t stuck with just white ones. Because I have some green in my home, I have purchased a few with green patterns but I am selective. And one came with a sugar bowl. Right now they are on my mantle but we started work on a sunroom addition to our home yesterday and I think they might look wonderful there in a vintage style cabinet.